Players from the crowdfunding and innovation community came together Thursday at the General Assembly campus in New York to announce a new accelerator called Crowdfundx (stylized as CROWDFUNDx). Folks from Startup Weekend, Social Media Week, the Startup America Partnership, the Small Business & Entrepreneurship Council, and Crowdfunder will serve as the backbone for Crowdfundx. The accelerator’s goal is to bring together local entrepreneurs, investors, and businesses across country and around the world. Crowdfunder is a Los Angeles-based social network and crowdfunding platform that connects investors with entrepreneurs. 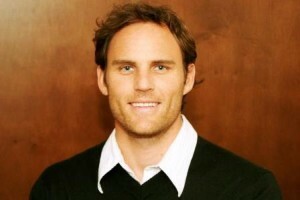 Co-founder and CEO Chance Barnett tells Xconomy the Crowdfundx program is based on competitions his company ran last May in L.A. and last September in Las Vegas for startups looking to connect with local backers. “Now we’re scaling this up with more partners,” he says. The plan is to draft prominent members of innovation communities to plan and organize local Crowdfundx programs that will give a hand to entrepreneurs who want to raise early funding. Entrepreneurs will sign up online for the programs with 10 to 15 finalists to be chosen over several weeks by vote to pitch their ideas at live local events. Prizes are expected to include investment offers from funds and angel investors, as well as cash awards of at least $15,000, according to Barnett. “We’re hoping to get to $1 million or more,” he says. Specifics of each program may vary but he hopes participants might also be connected to incubators in their communities. Barnett says part of his long-term plan is to develop competitions for brick-and-mortar small businesses as well as technology-focused startups. The accelerator will function through local leaders including regional representatives from Startup America. Crowdfundx is expected to kick off in New York this spring under the helm of Crowdcentric, the parent company behind the city’s annual Social Media Week conference. So far 11 cities across country including Austin, the San Francisco Bay Area, Los Angeles, and Miami—plus with another 12 cities in Mexico—are slated to host Crowdfundx challenges. Crowdfundx’s organizers will not take equity in startups, Barnett says, but rather facilitate connections with potential investors. “We’re looking to create a way to plug in and find access to capital,” he says. Barnett believes the accelerator will be a way for entrepreneurs to get in front of people who interested in investing in local companies. “It doesn’t require the JOBS Act to build relationships,” he says. Rules are still pending from federal regulators on how entrepreneurs can raise capital through crowdfunding in exchange for equity. Barnett says startups can still crowdfund, for rewards-based campaigns, through his company’s platform and others. The Crowdfundx program, Barnett says, can offer entrepreneurs exposure to attract funding. “We also allow accredited investors to get verified on Crowdfunder in a few instances,” he says, “for existing relationships among friends and family.” His platform also lets users see investment offerings in partnership with a broker-dealer; Crowdfunder days not setup those transactions nor does it draw revenue from them. Sounds like a great idea. My patent clients could certainly use something like this.